British Retail consortium formed in January 1992 is at the forefront which aims at enhancing, assisting, informing and shaping the dynamic industry that is undergoing transformational change.BRC leads the Industry and works with the members to influence the issues and create opportunities that will surely make a positive difference. BRC certification sets the standards that manufacturers have to match with, in different product areas, such as food, packaging and consumer products. Most of the retailers in Great Britain/UK expect the suppliers to furnish the guidelines set by BRC global Standards. Procuring BRC certificate will surely provide independent certification that the product or the process will comply with international standards. This will protect the brand and minimise the risk. BRC certificate stands for the commitment of the company towards the quality process which in turn enables access to top retailers. BRC aims at regular checking of schedule of the industry pertaining to sales, food and price inflation, elevating the consumer confidence and value added tax interest. Periodical internal physical audit of products, processes and personnel. GQS consultants have an established, experienced BRC Technical team that provides timely expert support to ensure the development of standards through a process of collaboration and continuous improvement. We can help you with the complete British Retail Consortium or BRC certification process from documentation, implementation, trainings, internal audits and right certification body. Call 9845313910, 9845078743 to know more about BRC Consultant, BRC Certification, BRC Consultancy for Packing, Manufacturing. EFfCI is the European Federation for cosmetic ingredients- An European trade associtiation which brings together manufacturers of synthetic and natural ingredients for the cosmetic industry. 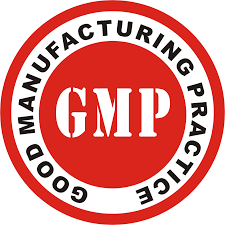 The standard GMP guideline for cosmetic industries was developed 2005 version and revision dates 2010 is available for adoption. It is mandatory for companies in third world countries supplying ingredients to cosmetic manufacturing companies etc to comply with the requirements and apply for certification. Internationally recognized GMP system on cosmetic ingredients is obtained. The EFfci guidelines ensure cosmetic ingredients are free from harmful contaminants and provide the company to remain and keep up the good standards though a good manufacturing practice (GMP) certificate. The new version of the EFfCI guidelines includes three new appendices that set out the requirements for obtaining certification by an independent assessment body when organizations already hold ISO 9001 certification. Our consultants can help you with the complete EFFCI GMP Certification process from documentation, implementation, trainings, internal audits and right certification body.